Jakarta. Jakarta is expanding its odd-even traffic system from Monday (02/07), preparing residents for its full implementation during the 2018 Asian Games in August. 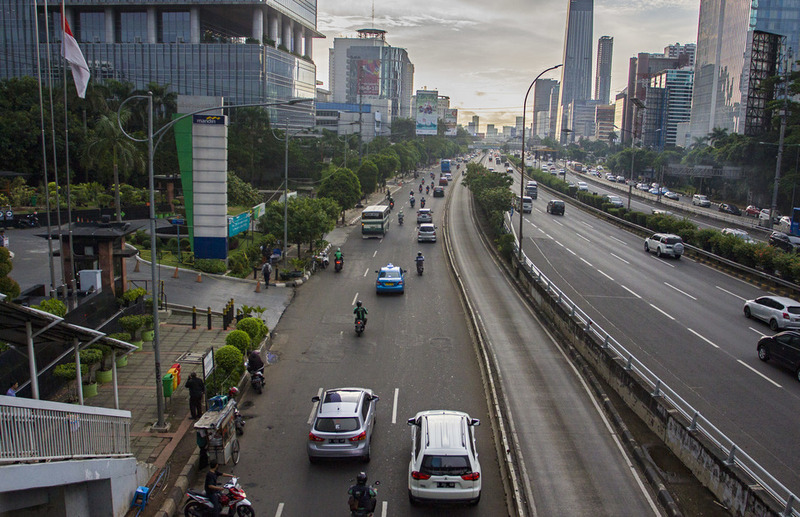 Since 2016, the capital city has been restricting odd-plated vehicles from entering Jalan Thamrin, Jalan Medan Merdeka Barat, Jalan Jenderal Sudirman and Jalan Gatot Subroto on even-numbered days and vice versa, to ease traffic congestion. However, as 10,000 athletes will be arriving for the Games, to make sure they would reach their designated sports venues on time, the system will be expanded to other arteries. In 2017, Jakarta was the world's 12th most congested city, according to the Inrix Traffic Scorecard, losing about Rp 100 trillion ($6.9 billion) annually from its traffic jams. In February, the Games' organizing committee tested shuttle buses that would transport the athletes. A significant number of trips lasted about an hour — twice the maximum tolerable time. The Greater Jakarta Transportation Body (BPTJ) decided to extend the odd-even traffic system the capital's busiest areas: Jalan HR Rasuna Said, Jalan Metro Pondok Indah, Jalan MT Haryono and Jalan RA Kartini in South Jakarta; Jalan Benyamin Sueb in Central Jakarta; Jalan Jenderal Ahmad Yani and Jalan Jenderal DI Panjaitan in East Jakarta; and Jalan Jenderal Parman in West Jakarta. During the trial in July, traffic police surveillance will be increased, but violators will not be fined. "We will not ticket violators during the trial period," Comm. Raden Prabowo Argo Yuwono, the head of public relations of the Jakarta Police said on Saturday. While now private vehicles are restricted from entering the odd-even streets between 7.00 a.m. and 10.00 a.m. and between 4.00 p.m. and 8.00 p.m., from July it will be from 6.00 a.m. to 9.00 p.m.
BPTJ said it will provide additional 204 buses for free for Jakarta commuters during the Games. "There are also another 250 buses for athletes and officials — 170 in Jakarta, 50 in Bandung [West Java] and 30 in Palembang [South Sumatra]," BPTJ head Bambang Prihartono said. Jakarta will be co-hosting the biggest sports event in Asia with Palembang from Aug. 18 to Sept. 2.